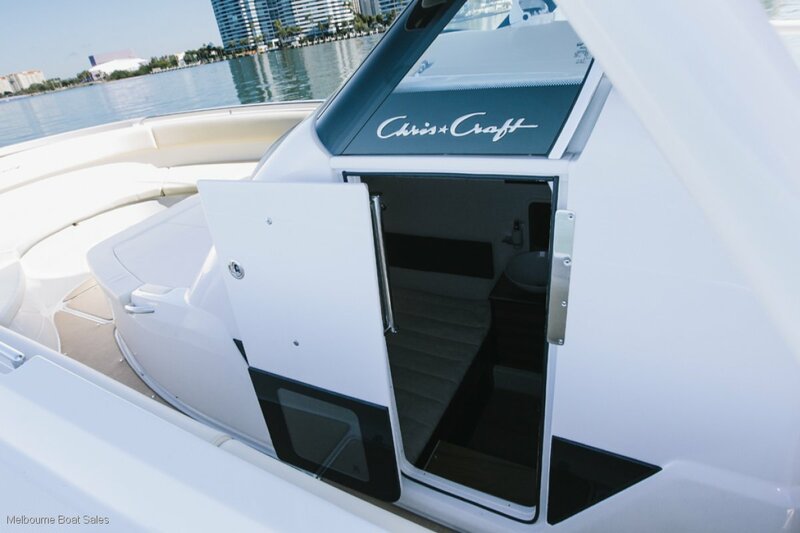 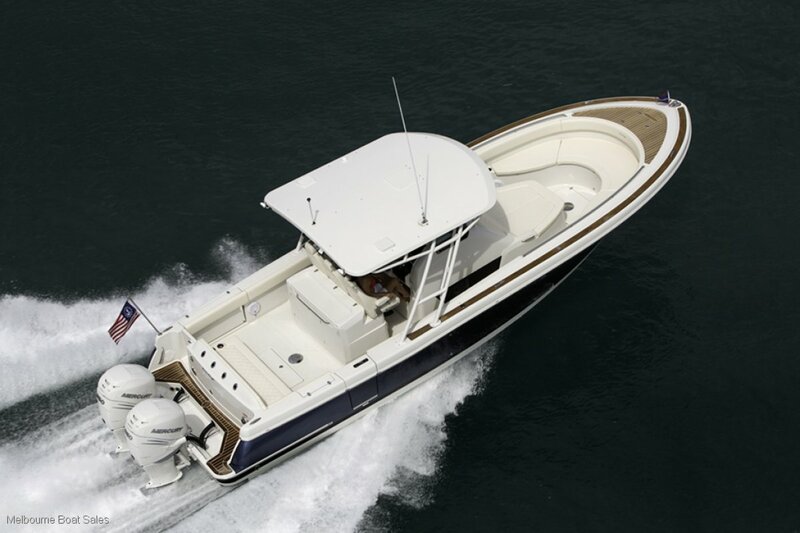 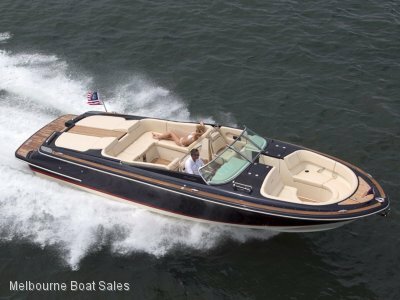 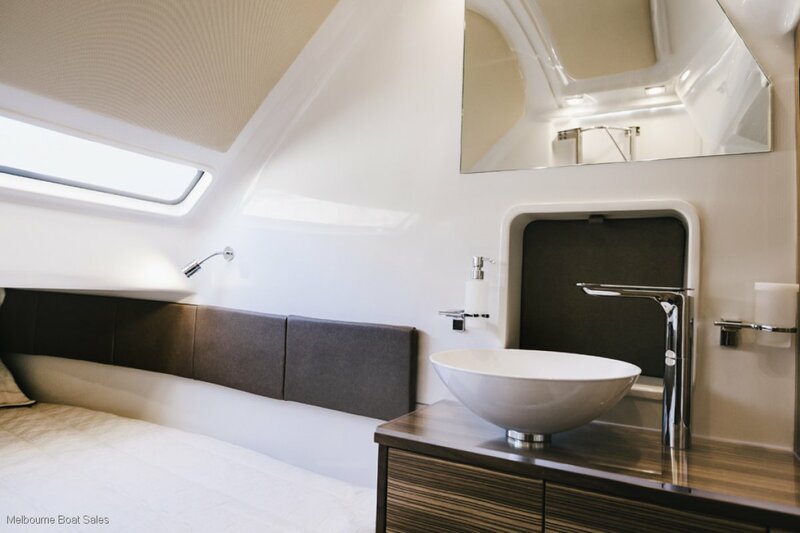 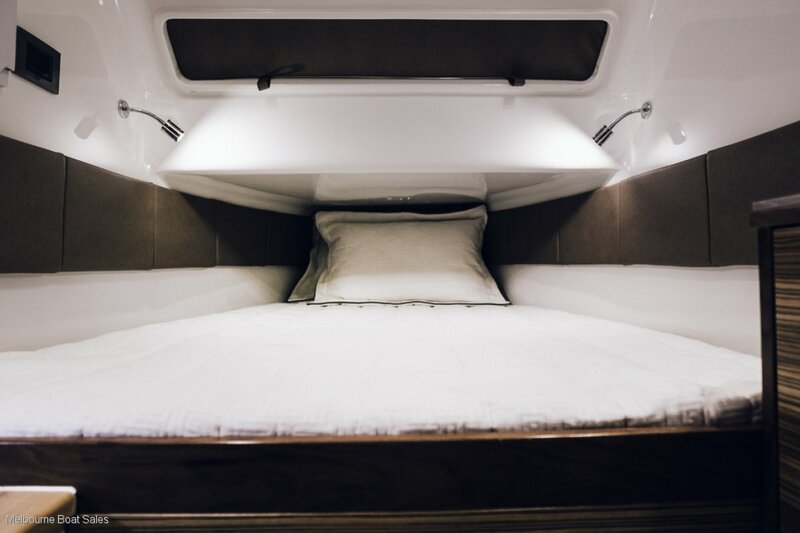 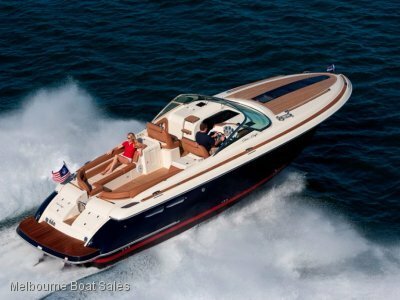 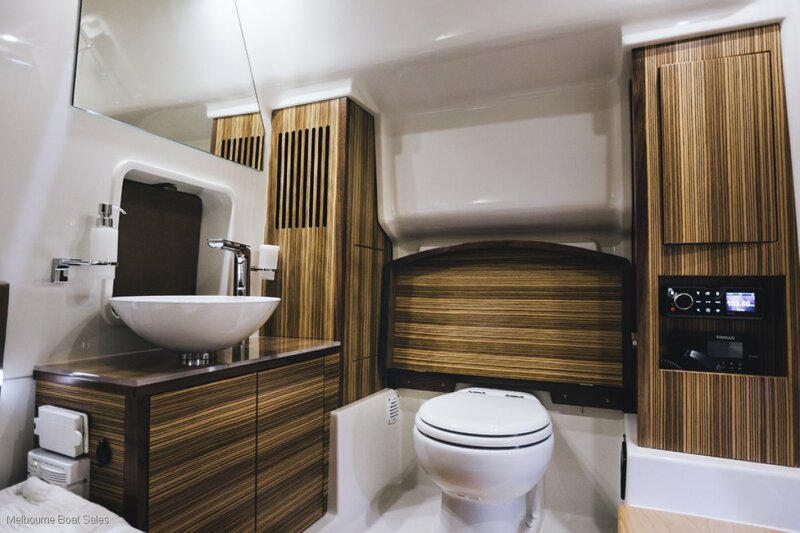 The Chris Craft Catalina 34 is the Flagship of the range and boasts some serious amenities as standard. 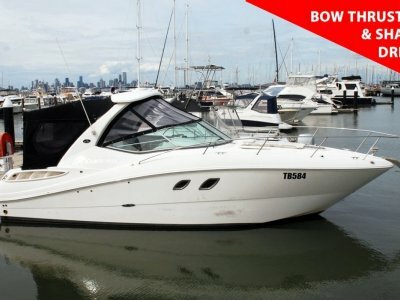 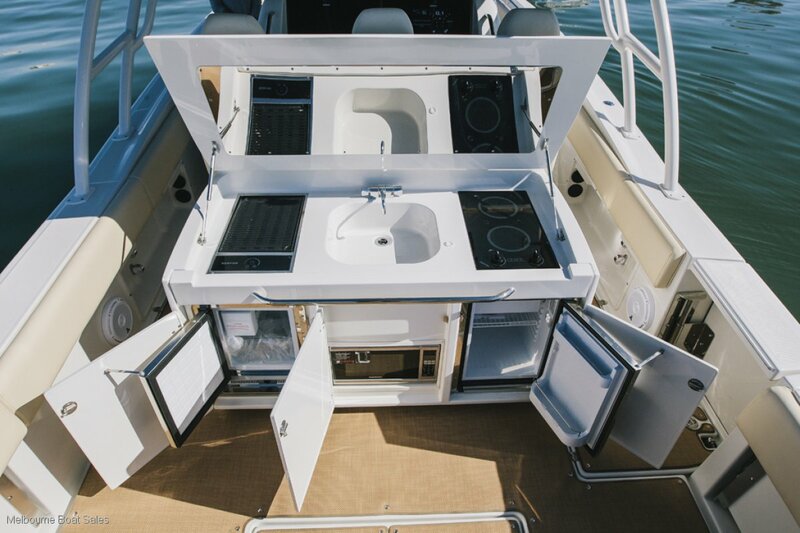 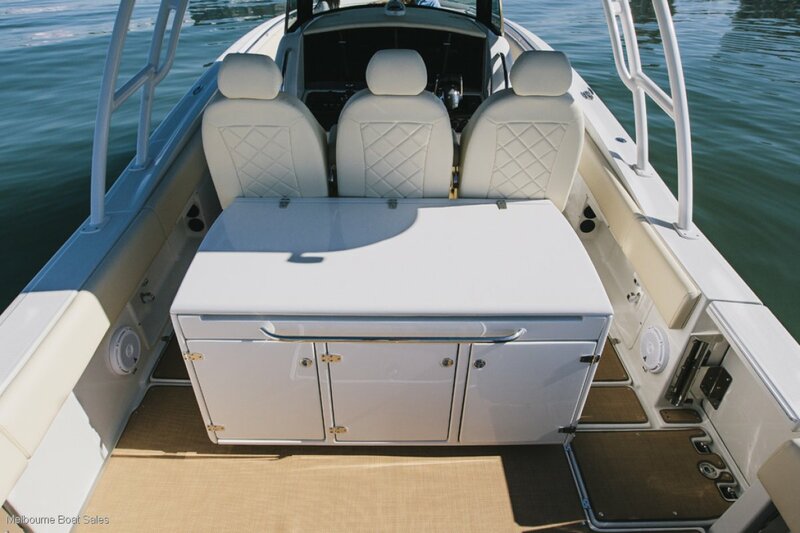 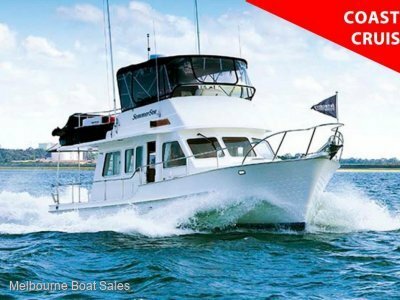 These include a Fibreglass hard top, Grill, Refrigerator, Live Bait Well, Port and Starboard fish boxes with macerator system and Head with Toilet and Holding Tank. 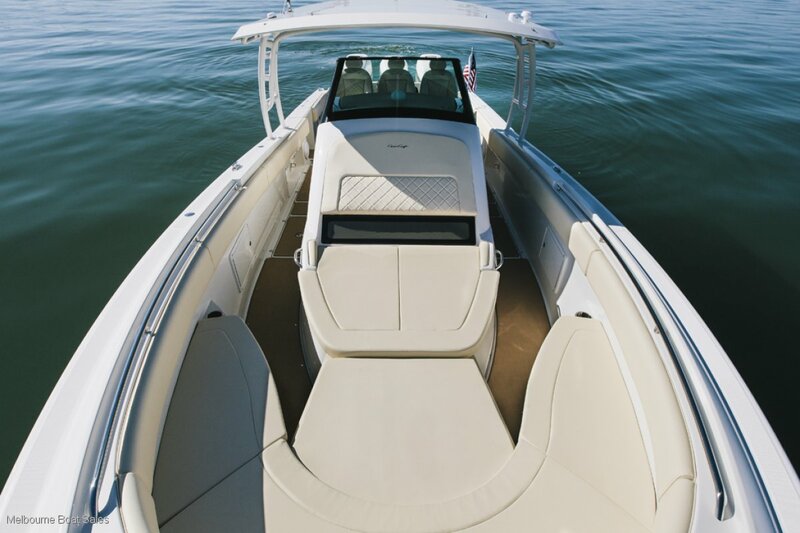 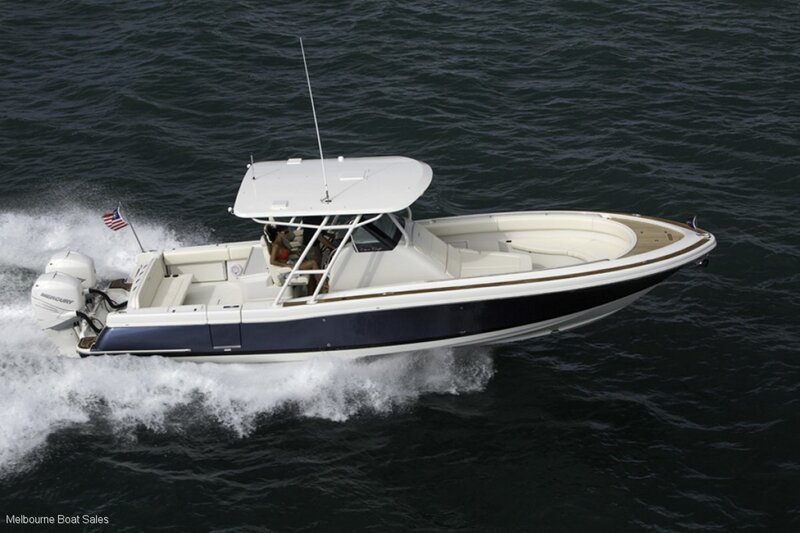 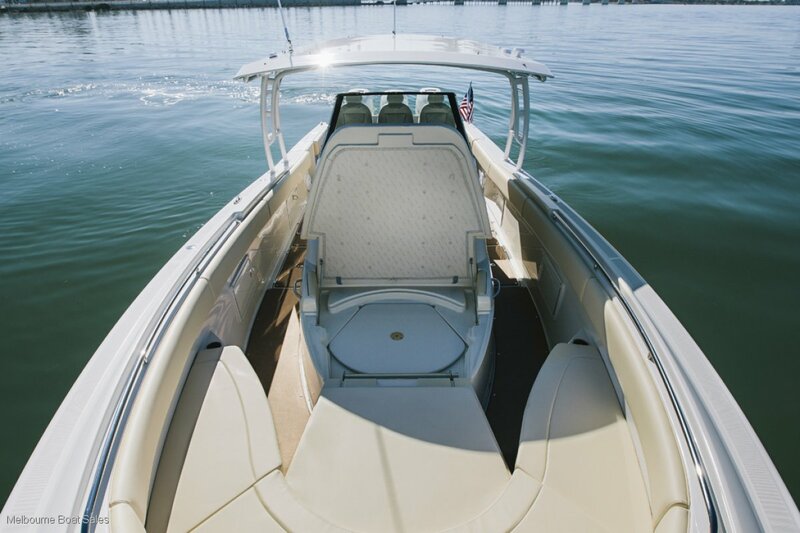 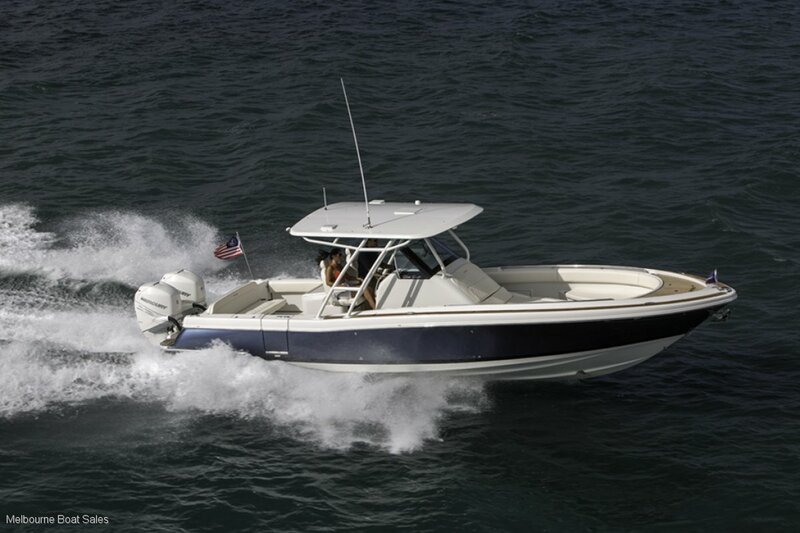 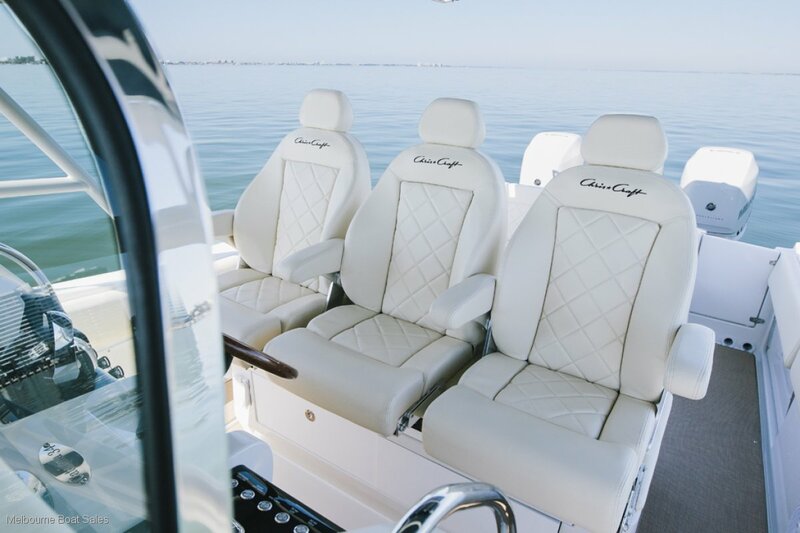 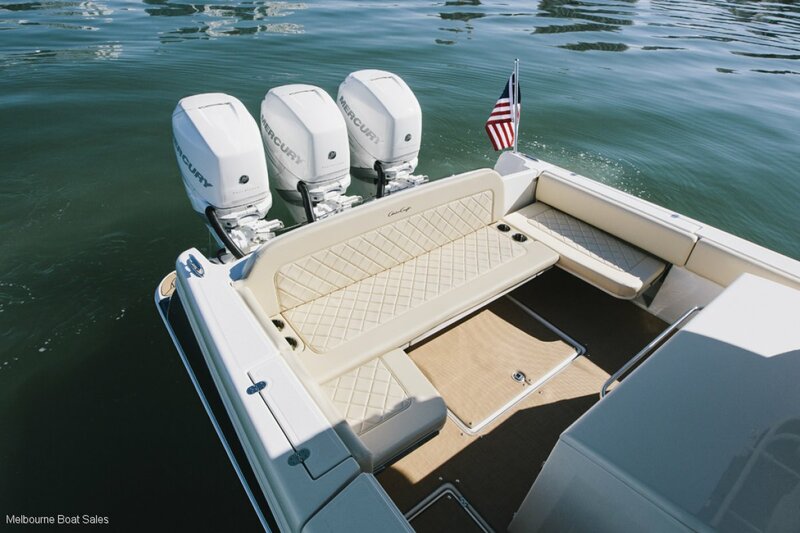 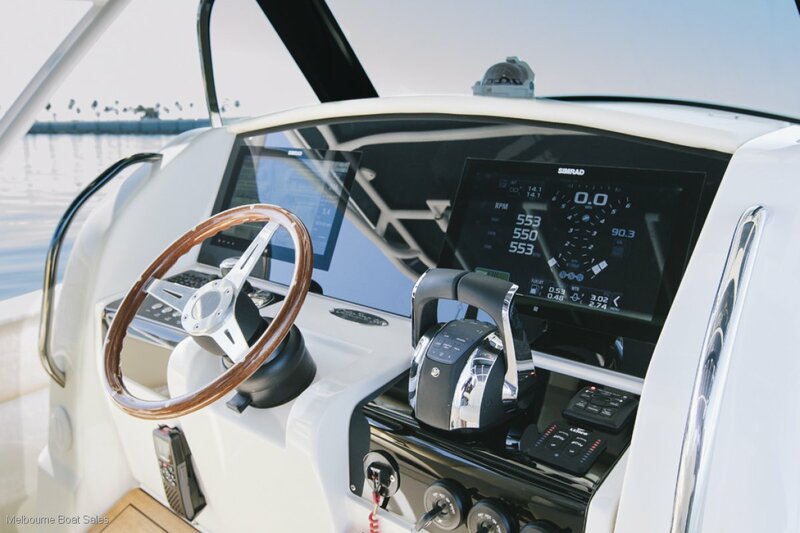 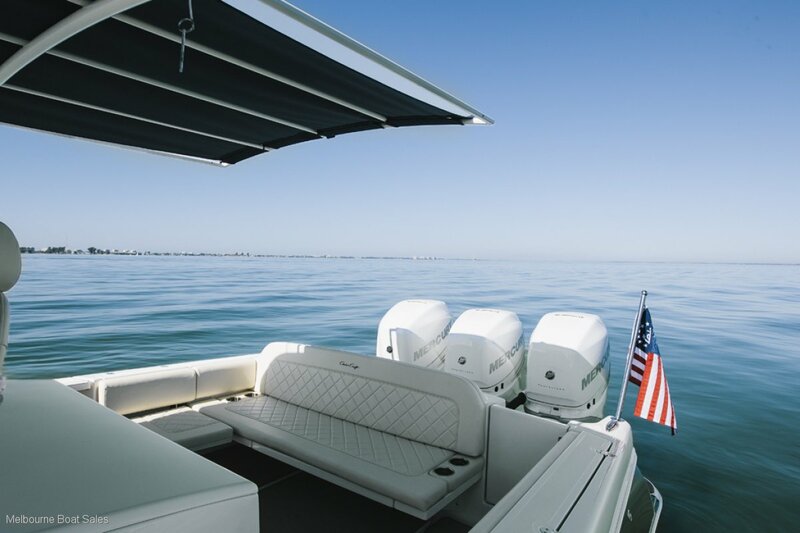 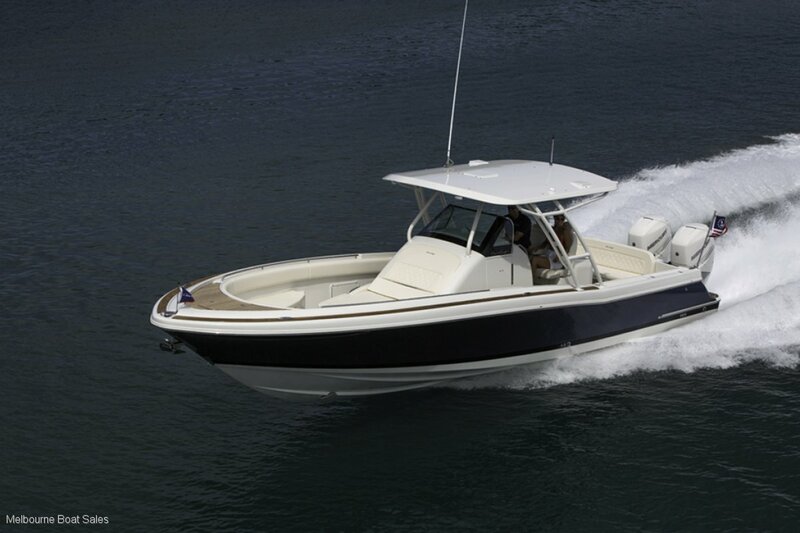 A wide range of options including triple outboard engines, and Joystick engine control are available for you to tailor the vessel to your liking.